I hope you’ve been rejoicing in the several days of silence. Things have ratcheted up several gears chez moi, though – final proofs for the book have been checked, a new website created, this website updated … I won’t bore you with the rest or the detail. 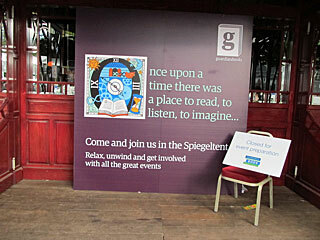 And now, here I am back at the Book Festival again, in the Spiegeltent this evening. The subject of the session is … don’t groan … The Ethics of Dying. 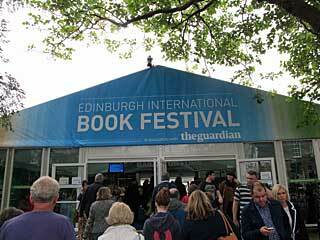 Look, I didn’t put this Book Festival programme together! But the organisers reckon it’s expedient to consider whether it’s ‘time to reevaluate our thinking‘ on this subject now we have so much power over life and death, and advances in medicine are allowing us to keep people alive so much longer than nature ever intended. So who am I to argue? It’s a question I’ve often asked in conferences and seminars: just because we can, does it mean we should? And on the flip side, what do we think about assisted suicide for those people who’ve had enough of life? Is it right to stop them? OK, we did that last week too, but hey ho. It’s a strange feeling sitting here. 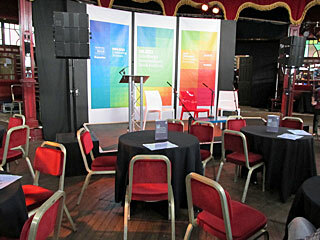 Exactly five years ago I was wheeled into this very tent as the author of Right to Die, debating this very issue alongside Baroness Mary Warnock, with Richard Holloway in the chair. Tonight the author is Gavin Extence and the academic, Professor of Divinity, David Fergusson, with Richard Holloway in the chair. Extence has recently published his debut novel, The Universe versus Alex Woods, which is curiously similar to Sparkle and Dark’s, Killing Roger, which I told you about last week: young man meets old man, old man wants to die, young man has to decide where he stands. But he’s not talking about it; he’s presenting the case for assisted dying based on the research he did for the book. Curious choice, and I hear mutterings from various ‘older’ folk about his not having lived yet, all theory, second hand. Richard Holloway maintains his customary firm grip on proceedings, dismissing irrelevancies and keeping the debate focused. He sets the tone for a much more moderate discussion by saying it’s not a good/bad divide, but a matter of opposing goods, and both speakers echo that. And he points out that it’s right and proper that we should be discussing this matter and feeling a sense of anguish about it. We shouldn’t be dismayed that we find it difficult. Extence’s main points are that technology and advances in medicine are the main reasons why we have a problem with aging or ill people living beyond the point they would choose to. Dwindling resources and poor care mean we are heading to a situation where only those who can afford it will be able to die well, so for him the pressing issue is freedom of choice. His solutions: learn from the experience of other countries who allow assisted dying; clarify the law for relatives; educate society in relation to end of life; fund quality research into these horrible diseases. Fergusson makes the point that doctors no longer have the latitude to quietly help people to die, and in consequence the old fear the dying process. Repeated parliamentary bills have polarised opinion unhelpfully, with both sides tending to caricature the other and present them in an unfavourable light. As a theologian he declares himself in support of the notion that life is God-given and to be used responsibly, but he fully accepts that some lives should not be prolonged unnecessarily, and that people should be able to exercise some choice in the manner of their dying. He further concedes that even though he might not choose to end his own life, he feels uncomfortable with the idea of imposing his view on others. Hurrah! say I. The problems for him relate to public safety, not prohibition. The difficulties of specifying safeguards, knowing when death is less than 6 months away, being sure the wish to end a life is sustained and for the right reasons. He fears a shift in the law might make certain people more vulnerable and divert attention away from good palliative care. Doctors do not want to take on this task, and Fergusson feels it shouldn’t be forced on them. But he doesn’t like the idea of specialists in ‘killing’ either. He concludes that the law must be tailored to all, not just to hard cases. Therein lies a real problem, say I. There are seven disabled people in wheelchairs at the front of the tent and predictably they leap in with questions. Most of the comments lament attitudes and provisions which make life intolerable; things which could be improved with more money and better education. An advocate of assisted dying calls for accuracy in quoting statistics: the incidence of assisted suicide abroad is very small and most people who subscribe to it never actually avail themselves of the drugs; it’s more an insurance against a lingering or intolerably undignified or painful death which in fact allows them to live longer. As always, the particular difficulties of those who are no longer mentally competent to make the choice for themselves comes up. And the importance of compassion and excellent care. Assisted suicide is not a genuine choice if it’s in response to substandard provision. David Fergusson picks up on the repeated invoking of human rights and autonomy, reminding the audience that all of us operate in relation to other people; what we choose for ourselves affects them too. Wise words. Richard Holloway sums up the discussion as temperate, elegant, modest and humane, and he takes two votes at the end. There’s a clear majority in favour of having some provision for people in certain circumstances to be assisted to commit suicide. And no one has changed their mind as a result of what they heard tonight. C’est la vie!